We have worked with Equipment Finance Services and their associates for the past five years and found them to be knowledgeable about equipment and financial structuring. The packages we receive, for funding, are complete and concise. We think they provide an adequate service to their customers and provide the best options for funding their equipment and projects. Equipment Finance Services is a great source for financing. Their ease of process, speed of funding and transparency of terms are just some of the many reasons to do business with them. They are also an ideal option for Semi Truck Finance and Heavy Equipment Finance. I highly recommend them. 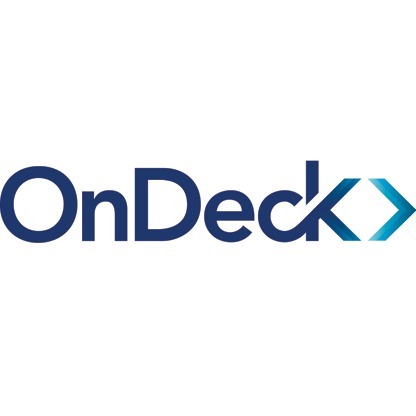 – Andrew Bernardini, Loan Advisor at OnDeck Capital, Inc.
As an enrolled agent, I help many truck drivers, who are sole proprietors and independent contractors with their taxes. They are either undergoing IRS audits or need my help filing their taxes. I am very careful with who I recommend my clients to for additional services. Equipment Finance Services is one I always refer them to. My clients have told me how fast they work, their attention to detail, and skill at brokering deals for heavy equipment. I’ve had tax clients save thousands on trucking expenses by using Equipment Finance Services. Trust me, I know how much they save to the dollar, from preparing their tax returns year in and year out. If I needed heavy equipment, I’d call Equipment Finance Services. After spending the first 8 months of our business being run in circles by banks both small and large, Equipment Finance Services was a refreshing change. The process was especially fast and efficient and they have been incredible getting us the best arrangements for our needs. Since our first deal with them for a large piece of equipment I have now used them again to finance a commercial vehicle. They professionalism is outstanding and they have been so accommodating to my business needs. I look forward to a long working relationship with Equipment Finance Services as my excavation business continues to grow. It is refreshing to know that there are people out in the business world who truly have your best intentions in mind. Equipment Finance Services are an incredibly hard working team who won’t sleep until your needs are met. They are a rare find indeed! Thank you for all that you have done for us over the last 11 years! Keep up the good work! As a Loan Consultant I am fortunate to work with Equipment Finance Services. Not only do they have the solutions to many of the challenging situations that we come across on a daily basis, but they are committed on making the process smooth and pleasant for my clients. And to me that’s what matters the most, (my quote) A customer that is happy with the way his financing is handled is a happier customer in general, that will come back to finance more equipment. At Equipment Finance Services everyone is treated with respect regardless their credit score, they make my customers their number one priority their goal is to get a fast approval and get it done. I couldn’t be happier with the way they help my business succeed every day since we started working together. Equipment Finance Services gave me a good monthly payment arrangement and took care of my complaints right away. I’m happy with their customer service and how their business took care of me. Excellent people to work with. Helpful and know what you need and how to help. Recommend. Great company to work with. They take the headache out of financing equipment. Would recommend them to everyone in the area. But don’t take my word for it, try them out for yourselves and make your life easier. Excellent customer service! Will recommend to others! These guys know small business financing! I highly recommend. Equipment Finance Services is a company that we trust and would recommend very highly to anyone. Great company to deal with, very helpful and patient. I will use them again, as well as recommend any friends or someone needing financing.